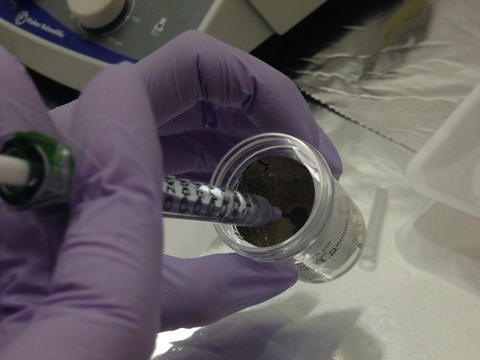 Doctoral candidate Elaine Pegoraro designed an experiment to measure how microbes respond to fresh carbon addition at different depths in soil collected from a field site near Healy, Alaska. Essentially, she made glucose additions to the soil three times throughout the course of a year. The results were published this month in Soil Biology and Biochemistry. Pegoraro’s findings suggest that plants may contribute to some soil carbon loss by releasing glucose from their roots into soil.